Designing for an iconic British retail brand. 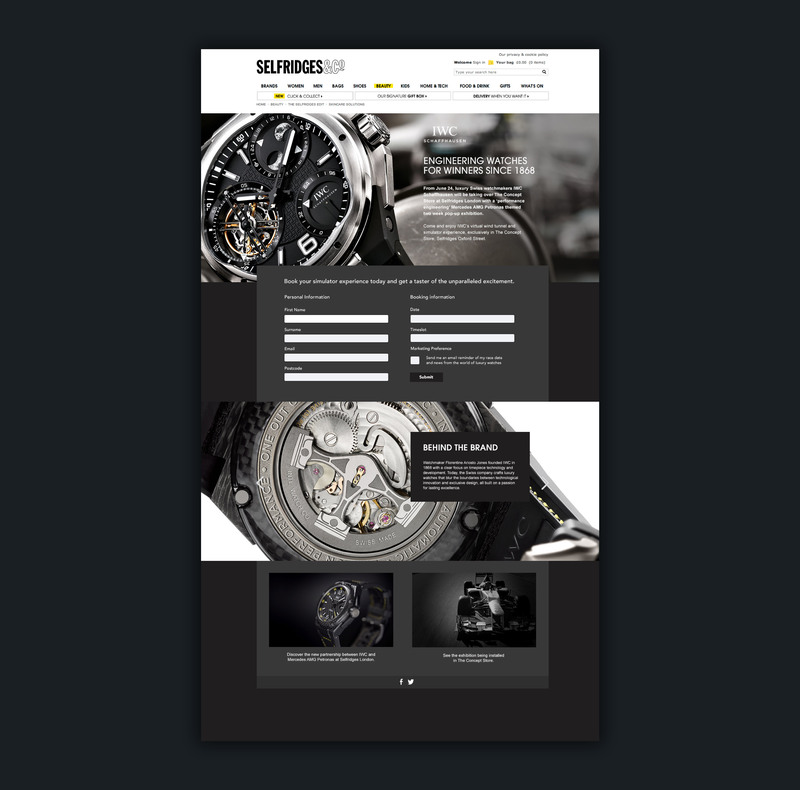 I was tasked to create a microsite for an event for IWC watches. The event included a pop-up gallery, bookable F1 simulator, and promotional material. 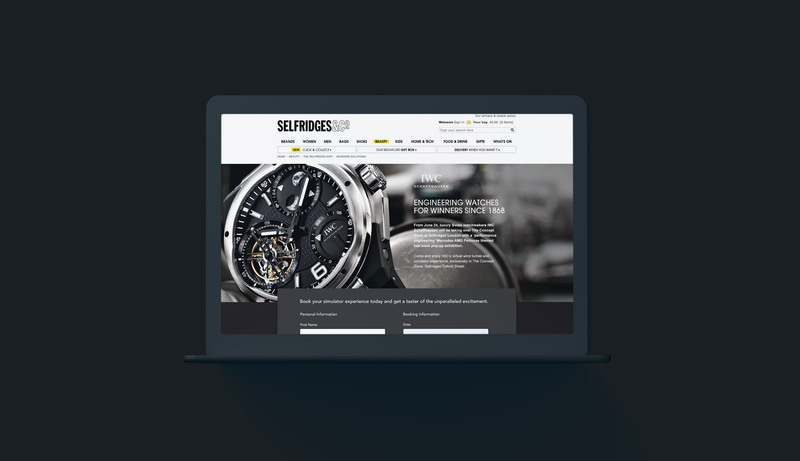 The site included a gallery of the latest IWC watches, a bookable time slot for the F1 simulator, promotional videos and social sharing.